Long Beach Honda is pumped up to offer this good-looking 2019 Honda Fit. 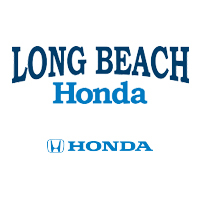 2019 Honda Fit Lunar Silver Metallic LX 4D Hatchback, 1.5L I4, CVT, FWD, Black w/Cloth Seat Trim.Here at Long Beach Honda, we focus on creating lifetime customers and on listening to you. We don t just want one car sale; we want you to enjoy your experience so much that you keep coming back! So let s get started! Browse our online inventory, get more info about vehicles, or set up a test drive! Long Beach Honda is pumped up to offer this stunning 2019 Honda Fit. 2019 Honda Fit Crystal Black Pearl LX 4D Hatchback, 1.5L I4, CVT, FWD, Black w/Cloth Seat Trim.Here at Long Beach Honda, we focus on creating lifetime customers and on listening to you. We don t just want one car sale; we want you to enjoy your experience so much that you keep coming back! So let s get started! Browse our online inventory, get more info about vehicles, or set up a test drive! Long Beach Honda is pumped up to offer this good-looking 2019 Honda Fit. 2019 Honda Fit Crystal Black Pearl LX 4D Hatchback, 1.5L I4, CVT, FWD, Black w/Cloth Seat Trim.Here at Long Beach Honda, we focus on creating lifetime customers and on listening to you. We don t just want one car sale; we want you to enjoy your experience so much that you keep coming back! So let s get started! Browse our online inventory, get more info about vehicles, or set up a test drive! Long Beach Honda is pumped up to offer this charming 2019 Honda Fit. 2019 Honda Fit Milano Red LX 4D Hatchback, 1.5L I4, CVT, FWD, Black w/Cloth Seat Trim.Here at Long Beach Honda, we focus on creating lifetime customers and on listening to you. We don t just want one car sale; we want you to enjoy your experience so much that you keep coming back! So let s get started! Browse our online inventory, get more info about vehicles, or set up a test drive! Long Beach Honda is proud to offer this handsome 2019 Honda Fit. 2019 Honda Fit Orange Fury LX 4D Hatchback, 1.5L I4, CVT, FWD, Black w/Cloth Seat Trim.Here at Long Beach Honda, we focus on creating lifetime customers and on listening to you. We don t just want one car sale; we want you to enjoy your experience so much that you keep coming back! So let s get started! Browse our online inventory, get more info about vehicles, or set up a test drive! Long Beach Honda is honored to offer this great-looking 2019 Honda Fit. 2019 Honda Fit Lunar Silver Metallic LX 4D Hatchback, 1.5L I4, CVT, FWD, Black w/Cloth Seat Trim.Here at Long Beach Honda, we focus on creating lifetime customers and on listening to you. We don t just want one car sale; we want you to enjoy your experience so much that you keep coming back! So let s get started! Browse our online inventory, get more info about vehicles, or set up a test drive! Long Beach Honda is pumped up to offer this wonderful-looking 2019 Honda Fit. 2019 Honda Fit Aegean Blue Metallic EX 4D Hatchback, 1.5L I4, CVT, FWD, Black w/Cloth Seat Trim.Here at Long Beach Honda, we focus on creating lifetime customers and on listening to you. We don t just want one car sale; we want you to enjoy your experience so much that you keep coming back! So let s get started! Browse our online inventory, get more info about vehicles, or set up a test drive! Long Beach Honda is honored to offer this fantastic-looking 2019 Honda Fit. 2019 Honda Fit Crystal Black Pearl EX 4D Hatchback, 1.5L I4, CVT, FWD, Black w/Cloth Seat Trim.Here at Long Beach Honda, we focus on creating lifetime customers and on listening to you. We don t just want one car sale; we want you to enjoy your experience so much that you keep coming back! So let s get started! Browse our online inventory, get more info about vehicles, or set up a test drive! Long Beach Honda is very proud to offer this outstanding 2019 Honda Fit. 2019 Honda Fit Platinum White Pearl EX 4D Hatchback, 1.5L I4, CVT, FWD, Black w/Cloth Seat Trim.Here at Long Beach Honda, we focus on creating lifetime customers and on listening to you. We don t just want one car sale; we want you to enjoy your experience so much that you keep coming back! So let s get started! Browse our online inventory, get more info about vehicles, or set up a test drive! Long Beach Honda is excited to offer this handsome 2019 Honda Fit. 2019 Honda Fit Milano Red EX 4D Hatchback, 1.5L I4, CVT, FWD, Black w/Cloth Seat Trim.Here at Long Beach Honda, we focus on creating lifetime customers and on listening to you. We don t just want one car sale; we want you to enjoy your experience so much that you keep coming back! So let s get started! Browse our online inventory, get more info about vehicles, or set up a test drive! I can’t find the right Honda I’m looking for in your inventory. What should I do? We understand how difficult it can be to find the right car for you. If you are having a hard time finding the Honda vehicle that best fits your needs, we can help find it for you. Use our vehicle finder form and we’ll try to track down the new Honda car, truck, minivan, SUV, or crossover that you want. Can I still get financing if I have bad credit? Our highly experience finance team has helped customers with all sorts of credit history secure the vehicle financing they need. Whether you have great credit, bad credit, or no credit, we would love to try to help you get the car loan you need to buy or lease a new Honda. Fill out a credit application and we’ll reach out to help you. When you find a vehicle that you want to check out, you can use our website to schedule a test drive so you can check out in person. We’re located in Signal Hill, so we’re pretty close to Carson, Long Beach, Paramount, Lakewood, and Los Angeles.